2011 Nightjar Productions Ltd., Label: Universal-Island Records Ltd. The single was issued as a result of a scandal that surrounded Rupert Murdoch’s News of the World newspaper. 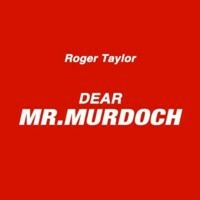 The newspaper ceased to exist and Roger Taylor once again made his statement regarding Murdoch’s position in media. This version is a newly recorded one (not a remix of older versions or demos), it is very ascetic as to its arrangement and instruments used. It probably features Roger only.